No one likes to pay out for maintenance service cover for their telephone systems as for many people it’s a service they never see the benefits of. However, most businesses start losing money and customers from the moment their phones stop working. Below we have made a list of the more FAQ to help you decide if a maintenance contract is the right decision for your business. Alternatively, you can fill in the quote form on the right and one of our team will be in touch soon. How long could your business survive if your telephone system failed? If the answer is not very long, then you need to consider the risks to your business if you haven’t already got a contract in place. what are the costs of maintenance service cover for my phone system? Can you tailor maintenance cover to fit our business? Yes. We understand that every business has different needs and requirements which is why in addition to our standard service level options, we have a bespoke option which enables customers to tailor a maintenance solution to meet their individual requirements, so we can provide you with the best maintenance service options to match your needs. How quickly can you reach us in the event of a call-out? We use a network of qualified and experienced telecoms engineers across the UK, which means we can respond fast and provide your business with a reliable service at very competitive rates. A standard contract normally gives fault reporting and engineering assistance between the hours of 8:30 and 17:30 weekdays with response times agreed for any major faults at four working hours with all parts and labour costs covered. With Tech Advance, you only deal with a single point of contact from incident report to fix, saving you even more time and hassle in the process. What are the advantages of a maintenance contract for my phone system? Cost savings over the life of the contract – A telephone system maintenance agreement can cost anywhere between £15 & £150 per month. Compare this with how much your business could lose should your system fail and you have no service agreement in place and the cost is negligible. Guaranteed response times – Never have to worry about the fault taking days to fix, with Tech Advance we guarantee that with any major faults our engineers will be working on your problem within four working hours with all parts and labour costs covered. Specialised teams – We use a network of qualified and experienced telecoms engineers across the UK. We will ensure that the right people are on-hand to solve the problem, quickly and efficiently. Predictability – Many businesses are looking for predictability when they plan & budget for the years ahead. 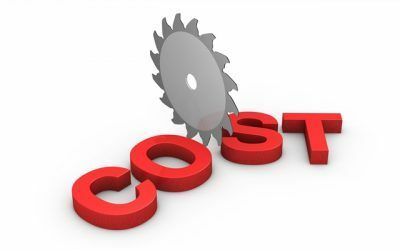 Knowing what maintenance costs are in advance can often be a lot easier than periods of zero costs followed by periods of high costs. Enjoy business continuity and peace of mind – A well-planned maintenance package allows for total peace of mind for business owners. Early detection of faults can prevent major losses in business. A maintenance agreement can act as a valuable insurance company, ensuring that minor faults don’t become major problems. 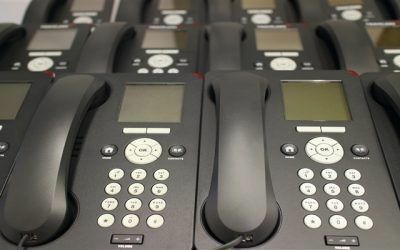 If you don’t already have a telephone system maintenance contract in place, then you may be running the risk of waiting days for your telecoms problem to be investigated and resolved. With a maintenance package from Tech Advance, it ensures you have predefined engineering response time agreed for major faults so you can avoid extended downtime which will often cost your business more in the long run. Everyone in business knows the importance of providing professional, high standard customer service in order to develop, maintain and grow customer relationships. With Tech Advance you get peace of mind that any problems you may have are dealt with quickly and professionally, keeping your business operational and providing a platform for organisational sustainability. 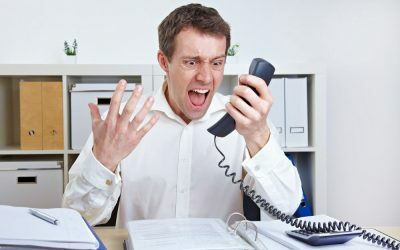 why should i consider telephone system maintenance for my business? If your telephone system goes down, the disruption it can cause can have a detrimental effect on your company if not dealt with immediately. You may be running the risk of waiting days for your telecoms problem to be investigated and resolved. This could result in, not only a loss of earnings for your business but more importantly, it can have a negative effect on how your clients view your customer service support. With a maintenance package from Tech Advance, it ensures you have predefined engineering response time agreed for major faults so you can avoid extended downtime which will often cost your business more in the long run. If I move my maintenance support from a current supplier, will I be covered straight away? Yes. Tech Advance has an established and proven transition process which guarantees your business is covered from the very offset. We provide a two-month cross over period to eliminate the risk of any disruption to your business, making the move a seamless customer experience. We have different systems across our sites are you able to support these? Yes, Tech Advance can support all your telephone systems across all your sites. A common problem for many larger organisations who run off many sites is they have far too many suppliers billing them for different things. We provide a cost reduction exercise to establish exactly how many services you have in place and the number of suppliers you are currently dealing with. We then consolidate these into one easy and manageable service, saving you money in the process. We provide a single UK support line for all services at all sites so you only deal with a single point of contact from incident report to fix, saving you even more time and hassle in the process. Do you provide maintenance contracts for all types telephone systems? Yes, our support contracts are available on all manufacturer’s products, including Avaya, Siemens, Panasonic and all BT supplied Nortel (Norstar) systems. What make and model is your current system? How many telephones do you have connected to your system? Does your desk phone need a facelift? Do your phones need a facelift? As an installer of business telephone systems for small business, we offer a wide range of on-premise business telephone systems along with IP telephony. Our Telephone System Maintenance & Repairs service is designed to give you the peace of mind you need, so that any problems you may have are dealt with quickly and professionally. Our service packages are tailored to meet the needs of all our customers throughout Lancashire, Merseyside and the Northwest in the following areas: Blackpool, Preston, Southport, Liverpool, Manchester, Bolton, Bury, Wigan, St Helens, Blackburn, Burnley, Leeds, Warrington, Stockport, Oldham, Chester and Salford, however please do contact us wherever you are based as we can support clients anywhere in the UK.